Samsung is unlikely to introduce an under-display fingerprint recognition feature in its 2018 flagship smartphone line-up, according to KGI Securities research analyst Ming-Chi Kuo. Kuo had earlier predicted that the South Korean firm was planning to debut an under-screen fingerprint sensor in its Galaxy Note 9, due for release in the third quarter of this year, but Kuo now believes Samsung will cancel the feature because of technical issues. The following quote is taken from a KGI research note obtained by MacRumors and has been edited for clarity. While we previously predicted that Samsung's new flagship Galaxy Note 9, due out in 3Q18, will come equipped with an under-display fingerprint recognition function, we now believe Samsung will cancel this feature on Note 9 because both ultrasonic (provided by Qualcomm) and optical (provided by Samsung LSI, Goodix, Egis, and Synaptics) solutions cannot meet Samsung's technical requirements. 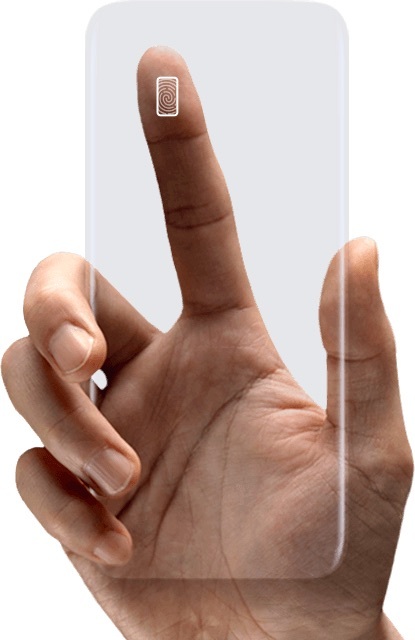 According to Kuo's understanding of the technologies involved, under-display fingerprint solutions continue to have many technical issues surrounding the use of screen protectors as well as different environments affecting recognition rates and power consumption. Previous reports suggested Samsung decided not to include a fingerprint scanner under the display of the recently launched Galaxy S9 and Galaxy S9+ smartphones due to similar technical difficulties. The fingerprint scanner remains positioned on the back of each device, just like the previous Galaxy S8 and Galaxy S8+ models. However, despite the ongoing problems, KGI remains "positive" on the outlook for under-display recognition in OLED panels and sees Samsung leading the way in this regard, although he doesn't expect mass-market adoption of the technology until the first quarter of 2019 at the earliest. We recognize that under-display fingerprint recognition is key for full-screen designs, and we don't think that facial recognition can fully replace fingerprint recognition. For these reasons, we remain positive on this technology over the long term. Also, as under-display fingerprint recognition module has a unit price 4-6 times that of capacitive fingerprint recognition module (or higher), we think that once the former module goes into mass production, the contribution to suppliers' sales and profits will be significant. Apple was widely rumored to be attempting to integrate Touch ID under the display on the iPhone X, or even on the side or back of the device, but Apple hardware engineering chief Dan Riccio has suggested it ditched any form of fingerprint scanning after hitting "early line of sight" with the company's Face ID depth-sensing facial recognition. Indeed, Apple is said to be so confident in Face ID that it is expected to abandon Touch ID in favor of the TrueDepth system on all of its new iPhone and iPad models released in 2018. Notwithstanding Samsung's longer-term aims, Kuo believes the launch of iPhone X late last year has tilted general interest in the mobile industry away from under-display fingerprint recognition, and towards camera-based 3D sensing technologies as the ideal user authentication solution. Inquiries by Android smartphone vendors into 3D-sensing technologies are said to have at least tripled since Apple unveiled its TrueDepth camera and Face ID technology. Kuo went on to say he believes the next two to three years will see shipments of 3D sensor-equipped Android devices to exceed those with under-display fingerprint recognition by a factor of two or three or more. This will be mainly due to 3D-sensing's wider compatibility with LCD screens than under-display optical fingerprint recognition, which is exclusive to OLED panels. While Face ID is impressive, I find the Apple Pay workflow awkward compared to Touch ID. It’s going to be even worse on a Plus sized device. It’s never that simple. You have to pre-engage Apple Pay by double clicking the side button, bring the phone in front of your face, then return it to the terminal. With TouchID, just bring the phone to the terminal with thumb in place. Done. Using FaceID isn’t cumbersome per se but certainly not as simple as paying with TouchID. I honestly don't believe you have an iPhone X now that i read this....bring it in front of your face? If it stay too close it actually don't work....you basically double click and that's it, yes it is possible to fail, like I failed at times with touch id if my fingers were wet by cold cans or frozen product, no doubt there is room of improvement but it works pretty well for payment. Apple is indeed leading the way here, with a 2 years advantage over competitors. Incredible how far-sighted they are. Steve Jobs’ legacy lives on. What's awkward? You look at your phone, payment goes through. Would be nice to have a choice to use Face ID,fingerprint or both depending on your personal preferences and situation. But not nearly as simple as just touching phone to terminal with your finger already on TouchID. Much more streamlined process. I like a lot about FaceID vs TouchID but this is one area where it falls short of its predecessor. this was the one chance for Samsung to finally one-up iPhone on something. they blew it. Clearly the technological difficulties is there with a fingerprint sensor under the display. It’s Not like any other major manufactures are ahead of Samsung releasing their phones with sensors under the display. Don’t you think it would make more sense to abandon or delay a project versus try to release something that isn’t reliable and inconsistent? They have other security methods available.